Ask the Headhunter: Is it better to be the first or last candidate interviewed? 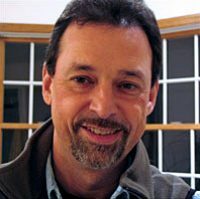 In this special Making Sen$e edition of Ask The Headhunter, Nick shares insider advice and contrarian methods about winning and keeping the right job, on one condition: that you, dear Making Sense reader, send Nick your questions about your personal challenges with job hunting, interviewing, networking, resumes, job boards or salary negotiations. No guarantees — just a promise to do his best to offer useful advice. Question: One of the last questions I ask during job interviews is where they are in their hiring process. I have read that one should try to be the last applicant interviewed in the process. But in the majority of my interviews, I have been the first candidate, therefore setting the bar. How does HR schedule the candidates with the hiring manager(s)? 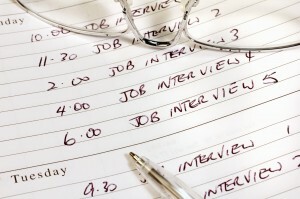 What is your take on how the interview order affects who gets a job offer? Nick Corcodilos: I don’t believe in rules of thumb about things like this. I’ve sent candidates to clients as the first to interview, and the manager has cancelled subsequent applicants because my candidate walked in and hands-down demonstrated how they would do the job profitably for the manager. Good managers are relieved and very ready to end the process at that point. Your goal should be to blow away all your competition in your interview – not to manage the sequence. I’ve also sent in candidates who interviewed last and got hired. What matters most is what you demonstrate in that interview. That’s what counts. If the employer is determined to interview X number of applicants, it’s very likely to lose its first choices to competitors because the best candidates aren’t likely to wait around for a lengthy decision process. And that tells you a lot about the quality of management at the company. Dear Readers: Would you rather be the first or the last applicant interviewed? What has your experience been regarding where in the sequence of candidates you were interviewed? Does it make a difference? If you’re an employer, do you insist on interviewing more applicants if the first one seems to be worth hiring? Copyright © 2018 Nick Corcodilos. All rights reserved in all media. Ask the Headhunter® is a registered trademark. Ask the Headhunter: I got fired ‘for cause.’ What does that mean? Ask the Headhunter: Why do job applicants stand up interviews?